The iPhone and iPod touch have become immediately recognizable names around the world. Apple recently announced that the iPhone is the most popular mobile phone in the US. In addition, the iPod touch is generally regarded as the media player of choice, offering much more than just music. Perhaps the key to their success is the ever-growing app store which currently boasts over 100,000 apps. For those of you not crazy about math, that’s a huge number—you would have to purchase and download over 11 apps an hour, every single day for a year to test them all. While it is safe to say the majority of apps available are less than appealing, there are a few gems that stand out from the rest. We took a look and compiled a list of the best apps 2009 had to offer. 2009 brought some of the best apps to the iPhone and iPod touch to date. Gaming has now advanced to a point that rivals the Sony PSP or Nintendo DS. As the mobile market grows and hardware continues to improve, we are going to see some amazing things come our way. If 2008 was about experimentation, 2009 was about innovation. In 2010, developers will push this innovation to enhance our mobile experience—whether through augmented reality, cloud-based computing, or something completely new. Below you will find our top 10 overall apps, our top 15 games, and top 5 innovations. Tell us which apps are on your top 10 list in comments. Access your friends, notes, pictures, and events using almost every feature the actual site offers. 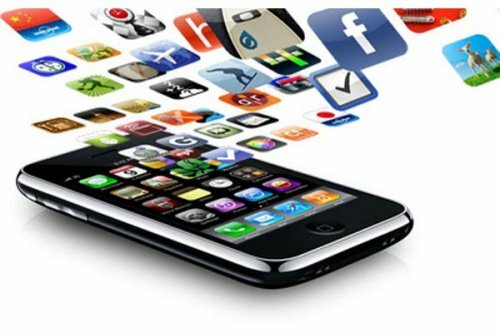 This app, based on the enormous social networking site, has seen many changes and just keeps getting better with time. /> View trailers, see showtimes, purchase tickets and read reviews using this free movie app. This is a must have for any moviegoer, giving you all you need to know about movies in your area at your fingertips. One of the first applications to take advantage of push notifications, this multi-client instant messaging app is in a class of it’s own. Using its push features, iPhone and iPod touch users can easily hold IM conversations with their friends anywhere. /> Brings your desktop to your iPhone or iPod touch. Link up with your computer and access your computer screen from afar. The interface is easy and feature-filled, delivering the best VNC experience to your device. Filling the void left by the default maps application, this app offers turn-by-turn directions from your device just like any dedicated GPS would. It provides a landscape GPS with plenty of features and a user interface that makes sense. Sync up with your Dropbox account and have access to all of your files right from your device. You can download files, upload photos, and maintain control of your folders. No one likes paying to text. This app offers free texting via push notifications. The interface is similar to the default SMS app and is a great alternative to paying your phone company. This app has revolutionized search on the iPhone with its voice search and in-app browsing. Speak a search query and the app will accurately recognize it and do a Google search. Not a Google fan? Check out the Bing app. All the wonderful features that can be found in the TweetDeck desktop app are packed into this iPhone version. With a sleek interface and great features, this app is one of the best of the many Twitter apps out there. Offers the entire Craigslist experience in one easy package. Buy, sell, and save more by searching through posts and bookmarking ones for later use. One of the first apps to bring live television to the iPhone, Ustream gives you the ability to see many live streams of all types of content on your mobile device. The line drawing game that started it all, this app is very simple but insanely addicting. Each level gets harder as you play and keeps you coming back for more. Combining awesome graphics, addictive gameplay and a little bit of randomness, Peggle is an exciting mix. This game brings a casual experience to the iPhone that has yet to be rivaled. The sequel to the hit game, this app takes the Rolando tilt formula and cranks it up. This game is an improvement in almost every way to the original and really shows what iPhone-specific gaming can provide. The king of all time-wasting games, this app puts you in charge of some prehistoric pygmies who are completely at your mercy. Regular updates and features make it a pleasure to continue feeding them to the fishes. One of the best first person shooters that can be found in the app store, N.O.V.A. puts the Halo formula into your pocket with a complete single-player and four-player multiplayer experience. Building on the app that started it all, this version gives you more than just holes to worry about as you will have to solve puzzles and dodge all sorts of objects. The game also offers the option to create your own boards and share them with the world. Everyone loves skeeball. Now it has been brought to the iPhone in a fun way. One of the most recognizable arcade games, this app is simple and addictive. As a full-fledged action RPG, this app brings the complete role-playing experience to the iPhone. Zenonia features attractive graphics and rewarding gameplay. Arguably one of the best racing games for the iPhone, this app has great graphics, tight controls and immersive sound, making it one of the coolest racing experiences ever on a handheld. Start a family and watch them interact in this full-featured Sims experience tailored specifically for the iPhone. EA’s answer to the popular Guitar Hero franchise, this app employs some big names in the music industry and lets you tap your way to fame. This exciting balance game gets a small overhaul and some great new maps making it the king of its kind. Another highly addictive game that sells for cheap but never grows old. The game is casual and simple, a perfect addition to any iPhone. A Scrabble clone with a great interface, this app allows you to play multiple games against players all over the world by alerting you via push. A step forward in innovation, this app scans barcodes using the iPhone camera and then returns pricing from various online sites. While still in its infancy, this app could revolutionize the way we shop. Storyboarding in your pocket. Hitchcock allows aspiring cinematographers to create movie layouts while on the go. Ringtones for email. Mailtones allows you to identify who just emailed you by their individual sound tone. Offers a new level of customization for your inbox. Leaf Trombone is a fun app that lets you play a slide instrument on your iPhone. Create your own songs and share them with the world.